Reintegrating into the work world is one of the most common challenges men and women face after completing a drug or alcohol addiction recovery program. It can be difficult to explain gaps in employment history without risking the stigma that may come with disclosing a past substance abuse issue. However, with proper preparation and the right resources, you can make a successful transition to get professional goals back on track. For those seeking a new job after recovering from drug or alcohol misuse, one of the keys is to remember that while employers do value applicants' work histories, it is not the only factor they consider. It is just as important that a prospective employee displays the core skills needed to succeed, and this is an area job seekers can emphasize as they search for suitable opportunities. At some point during the interview process, applicants must address gaps in their employment history. While 12-step programs recommend rigorous honesty when it comes to past substance abuse, ultimately each person must make an individual choice about how to handle the question. Some applicants choose to tell prospective employers that they took time off for health reasons, or to address a medical condition. This answer often satisfies the question while maintaining the right to privacy and discretion. 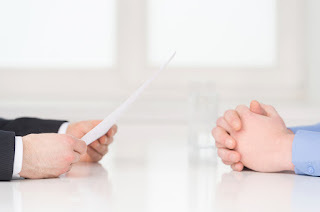 Ask your life skills coach or therapist to help you with interview planning so you are rigorously prepared when work history questions arise. • Take part in career assessment programs and personality inventories that help them find a rewarding path forward. • Develop resumes and participate in role-playing job interview sessions. • Learn to be assertive and use healthy strategies for resolving interpersonal conflicts in professional contexts. • Build skills for dealing with stress and potential relapse triggers, such as holiday parties or afterhours get-togethers. Hope Academy’s primary objective is to help our clients succeed in every aspect of their lives after pursuing addiction recovery. As part of this commitment, we also give clients the opportunity to prepare for or participate in college sobriety programs during the treatment process. If you would like further information about our sober college or vocational training, contact our registration team by email or phone.